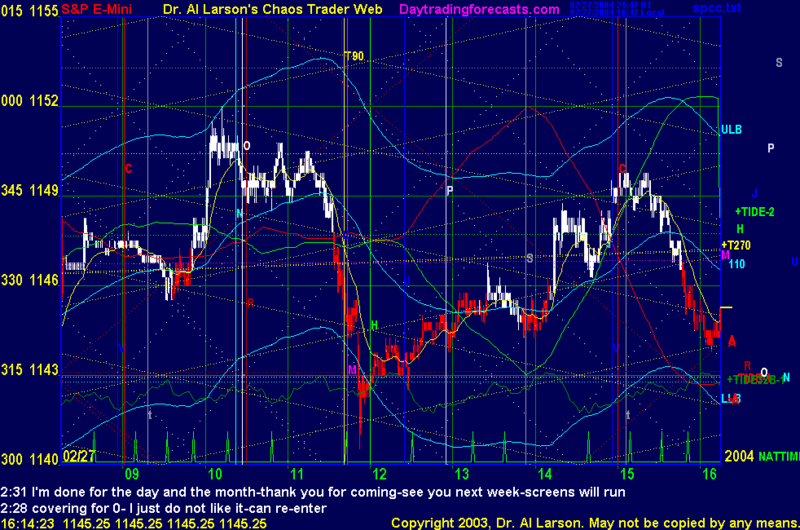 2/27/2004 12:44:22 PM Mountain TG:: Good call at the end Al, not worth chasing into 1149 resistance. Good night and good weekend. 2/27/2004 12:35:57 PM Mountain TG:: Managed to make 3 points today, it's Friday, might as well go out on a good note. 2/27/2004 09:17:33 AM Mountain wlj:: this must be the marcel marso memorial chat room.